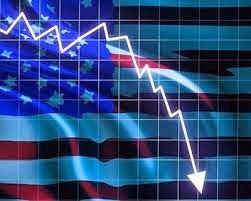 If you believe that the U.S. economy is heading in the right direction, you really need to read this article. As we look toward the second half of 2014, there are economic red flags all over the place. Industrial production is down. Home sales are way down. Retail stores are closing at the fastest pace since the collapse of Lehman Brothers. U.S. household debt is up substantially, and in 20 percent of all U.S. families everyone is unemployed. In so many ways, what we are witnessing right now is so similar to what we experienced during the build up to the last great financial crisis. We are making so many of the very same mistakes that we made the last time, and yet our "leaders" seem completely oblivious to what is happening. But the warning signs are very clear. All you have to do is open your eyes and look at them.